India truly has a rich history. Each ruler who held sway over the land at different times has left their trail behind making Rajasthan a treasure trove of history. Known for its luxurious palaces, vast expanses of desert tracts, food, and tradition, Rajasthan is the place where time seems to stop. While thinking of the state might trigger thoughts of its prime cities such as Jaipur, Jodhpur, and Udaipur, the state has a lot more to offer. The best Rajasthan tour packages today include palace visits, and camel rides and what not but if you as an explorer want to explore it completely, you must be prepared for surprises. Take note, and embark on your journey! Bon Voyage! Approximately 85km from Udaipur is a UNESCO World Heritage Site known as Kumbhalgarh. Situated at a height of 1100m above the sea level on the Aravalli Range and only about 80km away from Udaipur, it is a place to be if you are determined about not following the hordes of visitors to this lovely desert state. 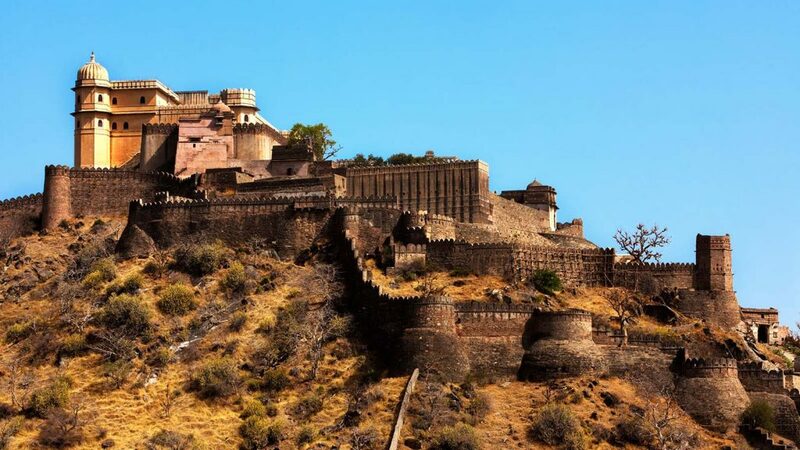 Kumbhalgarh Fort though lesser known is renowned for its beauty. The majestic fort is the Indian version of the Great Wall of China and deserves to be viewed at least once. The nearby Kumbhalgarh Wildlife Sanctuary is also a place well worth a visit especially for the night safari it offers. What’s more, the rare Indian Wolf could be spotted as well while you might also explore the sanctuary on horseback. Situated in Western Rajasthan, Barmer is a desert town about 150km from Jaisalmer. 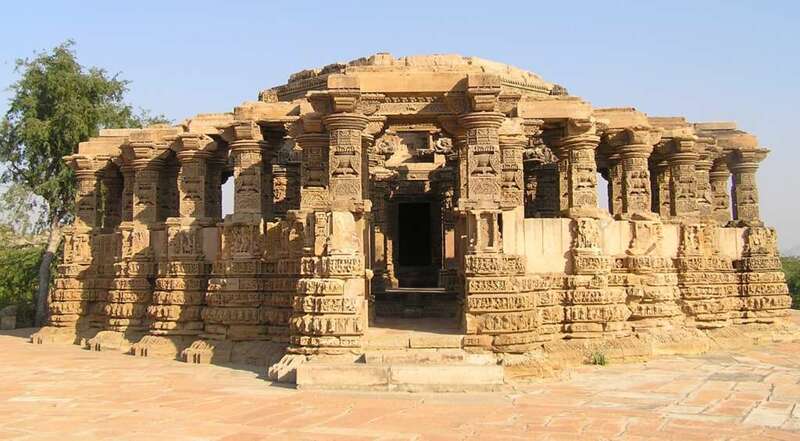 In spite of being a part of the harsh and barren Thar Desert, it offers a plethora of historical sites that with the Siwara Fort and Juna ruins being particularly famous. Barmer is fast being recognized for the cattle fair held during the Thar and Tilwara Festival. 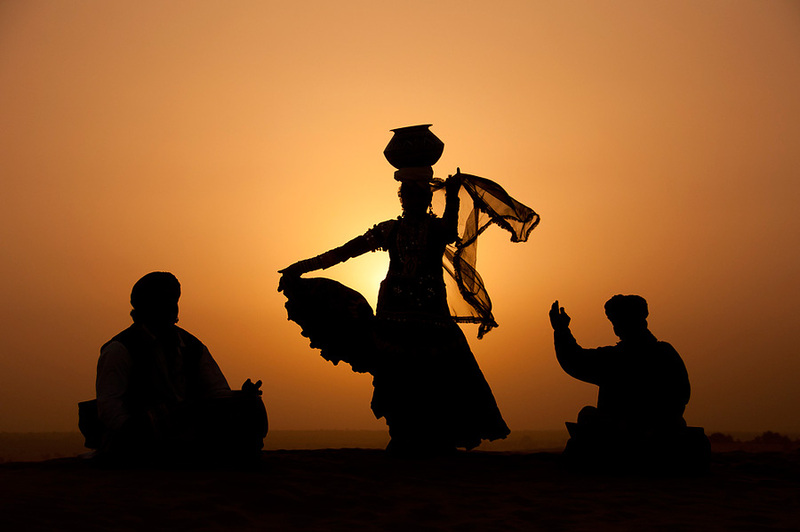 It is definitely the right place for getting a taste of Rajasthani culture and its cuisine. This is one of the most picturesque villages of Rajasthan that boasts of a mighty fort that has never been conquered in the past. Situated about 40km from Kota, the Bundi palace is known for as a house for mirrors and beautiful frescoes. Bounded by the Aravalli Hills on three sides, it is one of the lesser known gems of Rajasthan. When in Bundi, make sure you visit its Baolis or the step wells for which this quaint little town is known for. Do not miss out on the Taragarh Fort, Bundi Palace, Nawal Sagar, Dabhai Kund, Nagar Sagar step wells, and Sukh Maha either. The modest but stunning Tal Chhapar Sanctuary is one of the last grasslands surviving on the plains. A delight for birdwatchers and photographers, the sanctuary witnesses hordes of Demoiselle cranes crossing the Himalayas to reach Keechan Village. 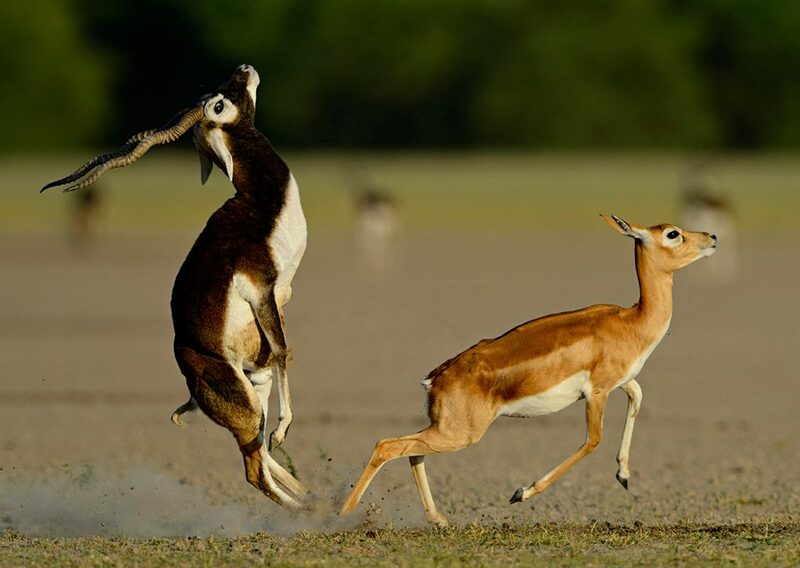 With luck, you might be able to spot the endangered black buck or the Indian gazelle around here too. The facilities are modest yet decent at the “Rajasthan Forest Department Guest House” where most of the visitors prefer to take shelter. The sanctuary is located 200km away from Jaipur with the peak time is from November to February. The lone hill station of arid Rajasthan, Mount Abu is home to a beautiful wildlife sanctuary as well as a number of Jain Temples. It is most famous for the beautiful weather and a number of local attractions. Do find time to visit the Dilwara Jain Temples, Nakki Lake, and Trevor’s Tank, Guru Shikhar, Achalgarh and more. The place is situated somewhat in the middle of Jodhpur being and Udaipur and can be reached from either of the cities. Situated at the heart of the Aravalli Hills, Narlai is situated midway between Jodhpur and Udaipur. The old Havelis (houses) here have been converted into hotels for the travelers who not only enjoy their stay here but get to shoot wildlife with the aid of their cameras! Take a jeep safari you might spot chital deer, leopards and many more animals, if fortune smiles at you. Visit the Adinath Temple and Shiva Temple to appreciate the fine mural work there. Drop by the local handicraft centers and admire the local handiwork while buying the select pieces. Do not miss out on the grand and magnificent Rawla Narlai before leaving this beautiful spot! If you love the wild, Keoladeo Ghana National Park in Bharatpur, is just the place for you to visit. Situated around 184km from Jaipur, this National Park is the bird sanctuary that has made Bharatpur a recognized name. It is home to 380 indigenous species of birds along with numerous migratory birds such as ducks, flycatchers, geese, and waders. are Make sure that you visit the Deeg Palace situated just 32km from the locale when you are done with sightseeing at the National Park. Situated 100km away from Pushkar and 140km from Jaipur, Kuchaman can be every explorer’s paradise. It is another of those historically and culturally rich cities of Rajasthan totally worth a visit. Perched at a height of 1100ft on a cliff, the Kuchaman Fort has a rich inlay work of gold and semi-precious stones and includes Sheesh Mahal or the palace of mirrors. It is located in the route of the most well known “Palace on Wheels,” a luxurious train that carries affluent tourists across the state of Rajasthan. You simply cannot afford to miss out on the Meera Mahal dedicated to Meera Bai and Jal Mahal while exploring the area. Sabha Prakash with its beautifully decorated walls glitters with the encrusted stones. 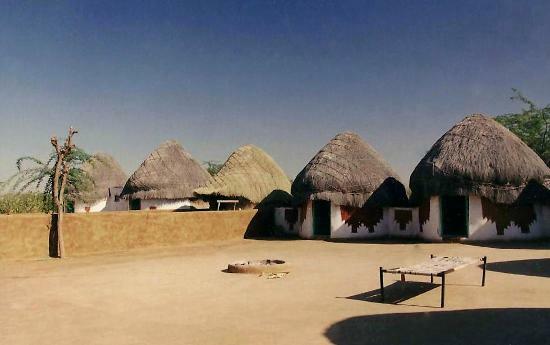 Situated just a stone’s throw away at 50km from Jaisalmer, Khuri is envisioned as a camper’s delight. If you are looking for a taste of rural Rajasthan and a quiet safari under the stars on a chilly desert night, this picturesque little village is definitely the place to be. Enjoy a marvelous sight of the sunset in the desert while you try the array of lip-smacking delicacies. Soak in the flavors of rural Rajasthan while you are at Khuri. Rajasthan has much more to offer than can be enlisted in the list. While you sure would not miss out on the major tourist attractions that the conventional Rajasthan tour packages offer, make sure you visit the places listed above as well as Mandawa, Osian, Ranakpur, Mahansar, Ranthambore, and Sawai Madhopur. Explore the beauty of the desert and the magnificent cities atop the sand to obtain an exhilarating experience.